Grow Your Revenue and Prevent Ad Fatigue With Facebook’s Audience Overlap Tool - Take Some Risk Inc.
Have a high CPA? Don’t know why your ads are not working? Ad fatigue could be hurting your performance and you may not even know it. It’s often over looked by brands and the silent killer in many Facebook ad accounts we look at. Today I want to talk about ad fatigue. It’s often the silent killer in your Facebook marketing. If you don’t know how to spot and stop ad fatigue from happening in an account. You can waste a lot of time and money going after the same person. 3+ billion people. That’s how many people use Instagram, Facebook and the WhatsApp platform. Facebook was the first site to reach a billion people and now they are well past 2.2 billion. However, their strength and weakness is one and the same. The number of people you can target with your advertising. If your audience is to small, you’ll saturate your audience quickly with your advertising. People will get bored and turned off from your brand. You don’t want to annoy people right out of the gate. Go after an audience that’s to large (say a million plus) and you might spread your budget to thin. Plus if you have multiple audiences over a million in size, you might have people who reside on more then one of your audience lists at the same time. If this happens, then you’ve the handy Facebook Overlap Tool is something you need to understand. This is an often overlooked and yet a vital tool in your Facebook marketing tool kit. 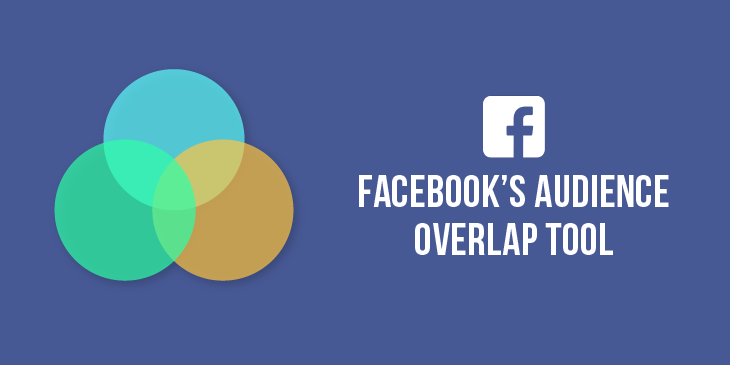 You can find the overlap tool in the audience section of Facebook. The first audience you select will be listed first as the “Selected Audience.” Every other audience you select will be listed in the “Comparison Audiences” section. You can change the selected audience by choosing a new one from the dropdown in the upper-right corner of the tool. You can choose from any of the audiences you selected. You can only get useful overlap information from audiences with at least 10,000 people, so consider that when selecting which audiences to compare. The overlap tool will show your “Overlap” and the “% Overlap of Selected Audience” for each of your comparison audiences. The “Overlap” number is showing you how many people are in both audiences. The “% Overlap of Selected Audience” will show you how many people are in both audiences vs the total number of people in the selected audience. This is how Facebook gets to show the percentage of overlap between the two audiences. A good examples might be an ecommerce store looking to target people who show an interest in Nordstrom (Audience A) and Topshop (Audience B). If you pick an audience with 100,000 people (Audience A) and a comparison audience of 1,000,000 people (Audience B), and there are 50,000 people that are in both audiences. The number 50,000 remains constant no matter which audience is “selected” and which is “comparison.” However, the percentage of overlap will change if you switch which is “selected” and which is “comparison.” 50,000 means that Audience B overlaps with 50% of Audience A. However, if Audience A becomes the selected audience that figure changes. Audience A only overlaps with 5% of Audience B. In practice, this means that the overlap between the two audiences is more likely to cause delivery problems for ad sets targeting Audience A than ad sets targeting Audience B. If you find that your audiences don’t overlap then that’s great. You won’t be saturating the same people with your advertising each time they are on Facebook, Instagram or WhatsApp. If you find that more than 30% of your audiences overlap, then you’ve a problem. Over 30% means that the people in each audience list are to similar to each other. You’ll want to revise how you build one or more of the audiences. That way you’re going after a unique group of people each time you use an audience list in a campaign. You can consolidate audiences and their budget if they are very similar to each other. The other option is to refine your audiences by using age, gender, and other targeting to make sure each audience is distinct from one another. Otherwise an audience size of 15 million is not needed. Think of your audience size as the bullseye on a dartboard. You want to aim for the center with a tightly focused audience. The other exception is if you have a lot of small audiences that you need to consolidate to give you reach. Also, don’t have expanded audiences checked when you’re building out a campaign. You can find expanded audiences at the ad set level right under audience and above advanced settings. This is often self checked by Facebook. That is it for this week. See you next time. Hey, thanks for the video! You mention at the end that a good strategy is to build a lookalike audience of those who like Nordstrom. From what I know, it’s not possible to build a lookalike audience from a Saved Audience source. Is there a way to do this that I don’t know about? I didn’t go into detail on this as it could be a whole other video. We build a campaign targeting Nordstrom. Once we get enough traction, we built a lookalike list of those who converts.